Opposition Leader, Don Pomb Polye said the resignation by members of the Electoral Advisory Committee is a deliberate ploy by Peter O’Neill and Electoral Commissioner to force their resignation so that it could not carry out one of its primary functions, that of recommending a failed election from evidence received. “The Electoral Advisory Committee has been deliberately sabotaged by O’Neill and Gamato by holding back vital data, reports and information which has stopped them from doing their constitutional duty. 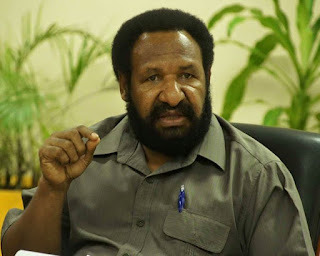 This is yet another example of rigging of the election by the government and a further blow to democracy of all Papua New Guineans,” said Mr Polye. Mr Polye further said there is already obvious and glaringly unprecedented evidence from many provinces and wards all over the country of electoral roll discrepancies, polling schedule defects, ballot paper and ballot box interference, violence by police and defence force personal and many petitions lodged by candidates that proves the election has failed and would be more than enough evidence for the EAC to have no choice but to recommend a failed election. “The government and Commissioner Gamato are still manipulating our peoples rights to democracy and that is totally unfair and unacceptable,” said Mr Polye. “I call on the government and the Electoral Commission to agree that the election is a complete failure and measures must be taken accordingly,” said the Opposition Leader. The Opposition Leader commended the members of the EAC for maintaining their integrity and protecting the democracy of the people of PNG by informing the public, voters, candidates of their role, duties and explaining the reasons fort their subsequent resignation.